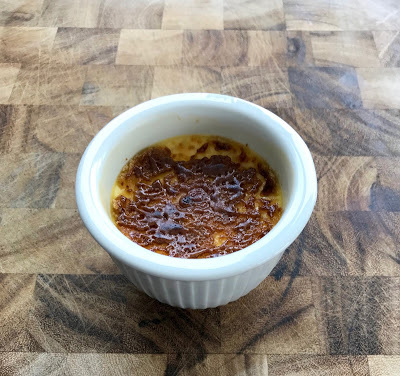 Everyone always thinks his or her recipe for Crème Brûlée is the best one, but mine really is. Scenting it with almond or hazelnut liquor and cooking it at a low temperature presents you with a subtle, delicate, creamy custard. This recipe is from my friend Sharon, an honest-to-goodness pastry chef. 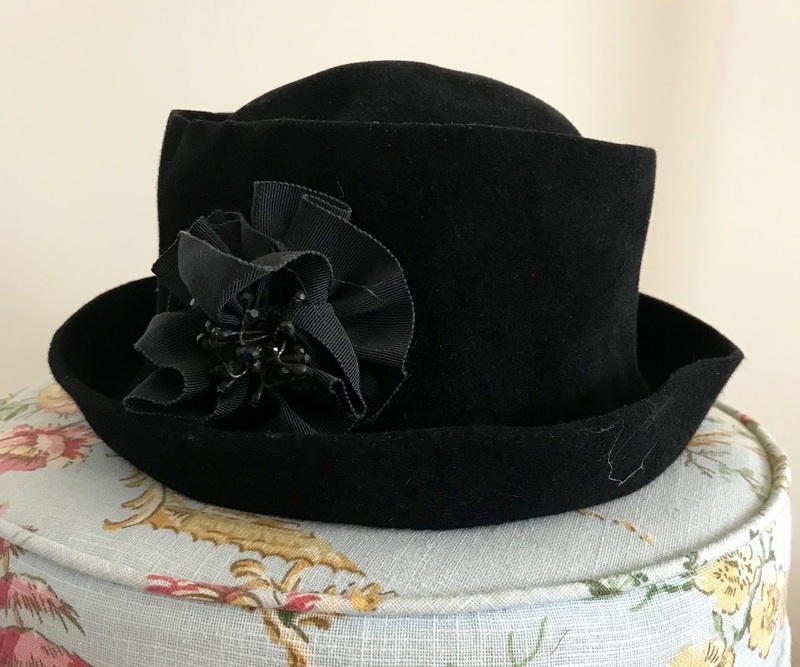 Gorgeous and creative, instead of making desserts, she now makes hats. Sharon only drinks sparkling wine, so you always drink Champagne or Prosecco when you’re with her. We both make this in little white custard cups, which we bought together in a restaurant supply store on The Bowery. They are deep like pots de crémes, only larger with vertical flutes, not flat like little quiche dishes. 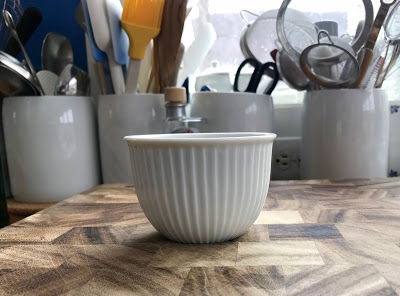 You need intense heat to burn the sugar, but you do not want to expose the custard - already thoroughly cooked - to any more heat than necessary...The solution is a stone-cold broiler, with the tops of the ramekins right under the heating element: two inches away is good. Once the broiler is on, keep the door open...and keep a close watch...After a few minutes the sugar topping will begin to bubble. A minute or so later, it will brown. If the browning is uneven, rotate the ramekins. At that point, the custards are done. This recipe can successfully be cut in half. Beat the egg yolks. Mix the ⅔ cup sugar into them. Put the cream and the vanilla bean in a pot, and bring just to the boil. Pour the cream s-l-o-w-l-y into the yolk/sugar mixture, STIRRING CONSTANTLY. Add the liqueur. Strain everything through a fine sieve, and skim the top. Fill the custard cups. Arrange the custard cups in a bain marie, which means arranging the cups in a baking dish and adding enough warm water to the baking dish to reach halfway up the sides of the cups. I bring water to the boil in my kettle and carefully pour it into the pan. Bake for 2 hours in the preheated 250°F oven. When the custards are done, cool to room temperature, sprinkle the tops with light brown sugar, and caramelize (see headnote), being careful not to blister the top of the cream.